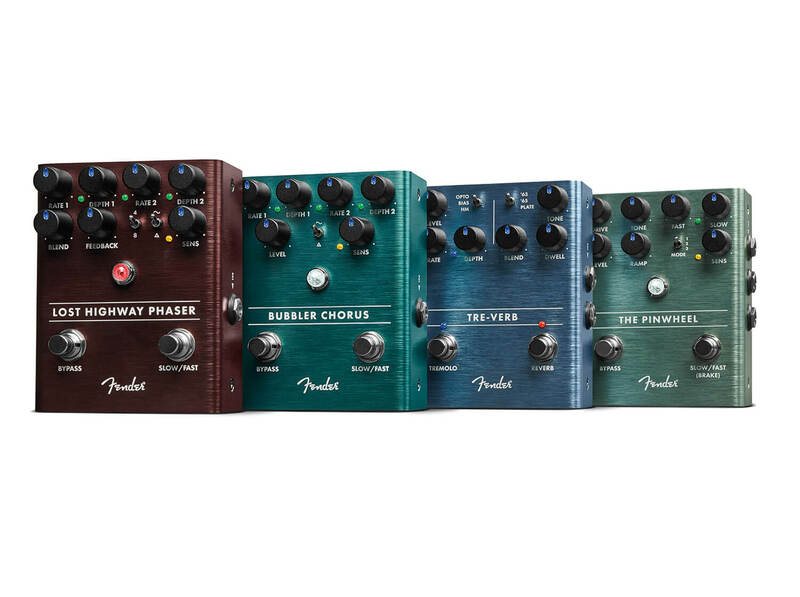 Tre-Verb, Bubbler Chorus, Lost Highway Phaser, The Pinwheel, MTG Tube Distortion and Downtown Express join the line-up. 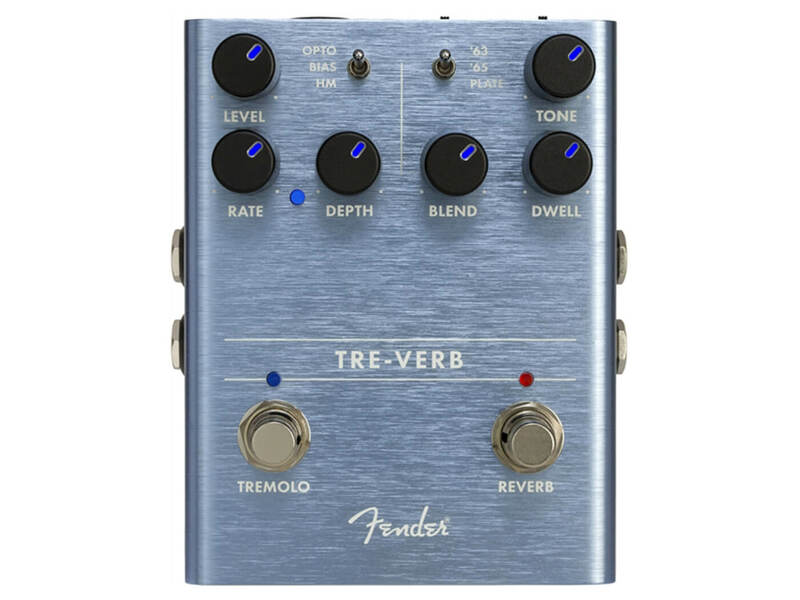 With the Tre-Verb, Fender has combined independent tremolo and reverb effects – each featuring three modes – into one pedalboard-friendly stomper. The tremolo modes are Optical, Bias and Harmonic Vibrato. The Optical mode harks back to mid-60s Fender amps, Bias is based off earlier, smaller amps that use power tube bias, and Harmonic Vibrato is derived from Brownface amps. The reverb modes, on the other hand, are ’63, ’65 and Plate. ’63 is based on the iconic standalone reverb tanks and ’65 is derived from the reverb built into Fender amps. Plate, however, is a modulated plate reverb that has a chorus-like feel, according to the brand. This is an analogue chorus stompbox with switchable slow/fast speed settings and individual rate and depth controls. Fender says it’s “a great way to add some dimension to your guitar tone”, describing its sounds as “thick, wide and rolling”. There’s also a wave switch to toggle between sine and triangle waveforms, and a sensitivity knob that governs modulation rate change based on your pick attack. 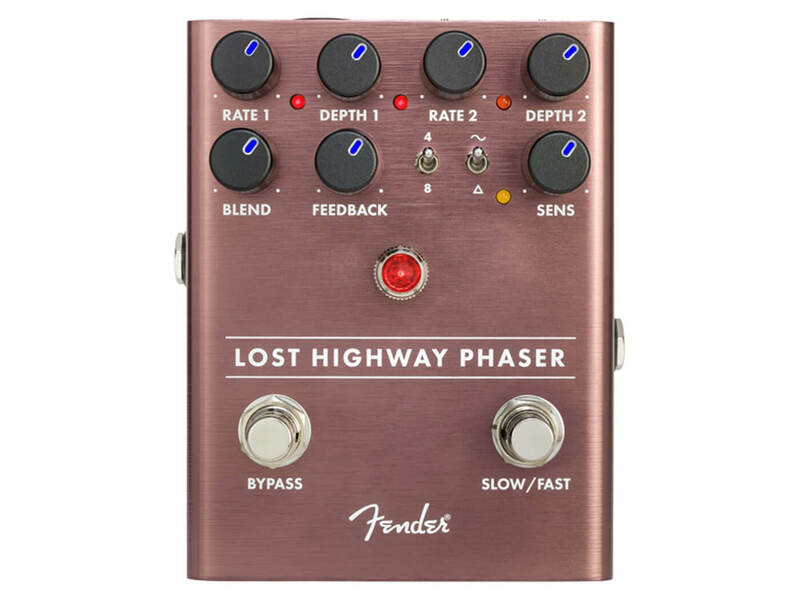 The Lost Highway Phaser is an analogue four- and eight-stage phaser that aims to provide a simple solution to adding resonance on the go. 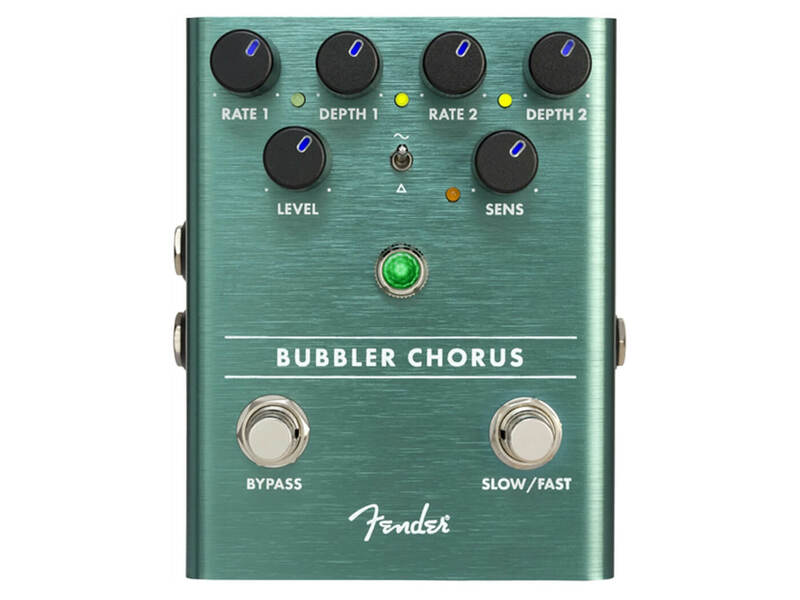 It features a similar control system to the Bubbler Chorus, but also adds blend and feedback knobs. 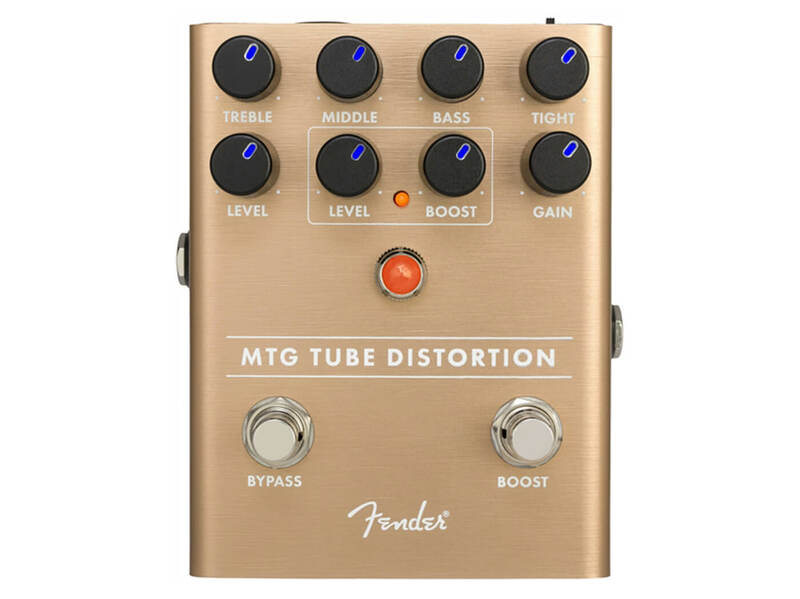 On this pedal, the individual rate and depth controls allow you to switch between anything from sluggish phasing to distorted modulation, according to the brand. This is a rotary speaker emulator, an effect that has become increasingly popular in recent times. This pedal has a three-way toggle switch that provides three discrete voicings, including Fender’s very own Vibratone – a Leslie made by the brand from ’67-’72. It features similar slow/fast settings and sensitivity control as the two pedals above, but also has some onboard overdrive for some snarl. Fender’s new dirt box makes use of an actual vacuum tube – a NOS 6205 preamp tube – to achieve its distortion tones. It also sports a three-band EQ with tight control to manage low-end, and a switchable boost with independent boost and level knobs. Another interesting aspect of the pedal is its switch-mode power supply that converts the incoming nine volts to 150 volts, and then applies it to the tube’s plate – similar to a real amplifier. 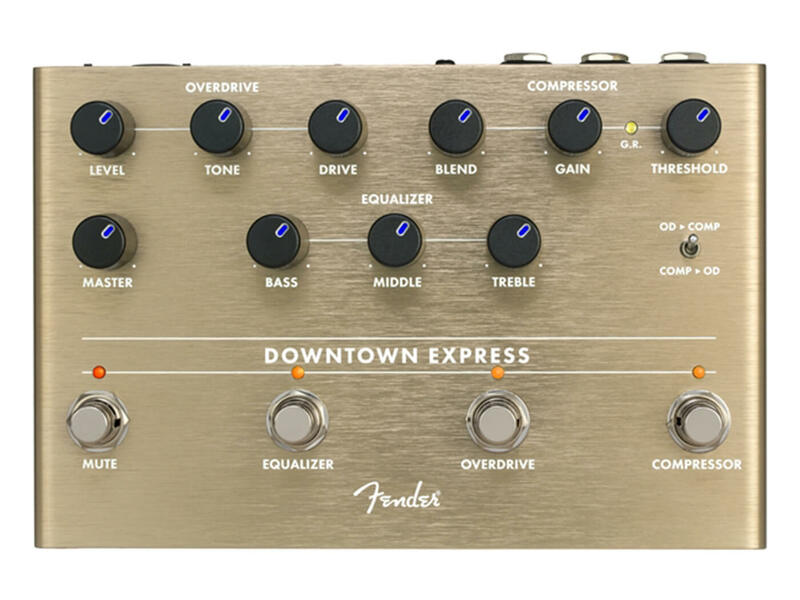 The Downtown Express is a bass pedal with overdrive, compressor and three-band EQ functions rolled into one multi-effects unit. On its faceplate you’ll find pretty standard controls for each effect type, catering for a user-friendly experience. Each of the three effects are switchable on their own, but there’s also a handy mute switch that cuts the signal for tuning. 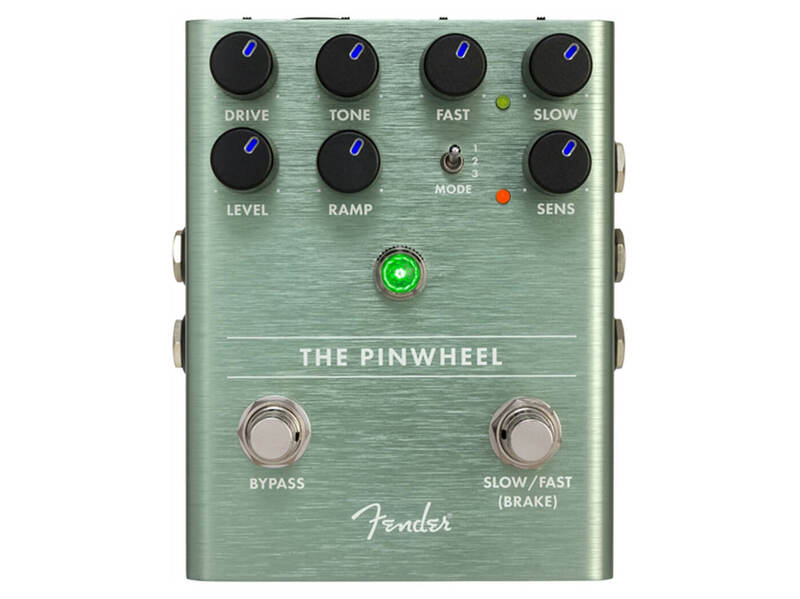 Other thoughtful touches on the pedal include direct outputs and LED-illuminated knobs.